My grandfather, Dr. John Aaron Moore was the first of 4 generations of medical doctors from the Moore family. Three generations practiced medicine in El Dorado over a span of 103 years, and the 4th generation who are still actively practicing are two sons of my sister Marilyn and her husband, Dr. George Berry. Their oldest son, Dr. James Berry is a Professor of Anesthesiology at Vanderbilt University in Nashville, Tennessee while their youngest of four sons, Dr. David Berry is a Maternal-Fetal Specialist in Austin, Texas. I have little remembrance of Granddad Moore because he died of heart disease in 1943 when I was only 4 years old. I heard many stories about him from Pop who idolized his father, from Bubba who remembered much more about him than I, and from many of my former patients when I practiced medicine in El Dorado. The following is an article that appeared in The El Dorado Sunday News on September 21, 1930. Some of the words used are unusual and the format is typical of the news reporting in that day. This article is framed and hanging in our daughter Mary Kay’s home in Branson, Missouri. When a man builds something he believes in it. Dr. J.A. Moore, 57, distinguished physician and organizer deluxe, has contributed materially to the building of El Dorado- and he believes in it. Theoretically it may be said that Dr. Moore was destined to find his way to prominence in the scheme of things in El Dorado. His father was a “booster and believer” in this community years ago. His grandfather, W.B. Gresham was a commissioner who conceived the physical layout of this thriving metropolis in the days when horse-drawn carts were regarded as the luxurious mode of travel. The doctor is a man of uninterrupted thinking and an habitual doer. His life has been one of organization. In 28 years of successive residence here he has modestly erected to himself unseen monuments by following that program. Dr. Moore is one of the organizers of the National Bank of Commerce; a charter member and director. He has been a stockholder in the First National Bank since its’ birth. 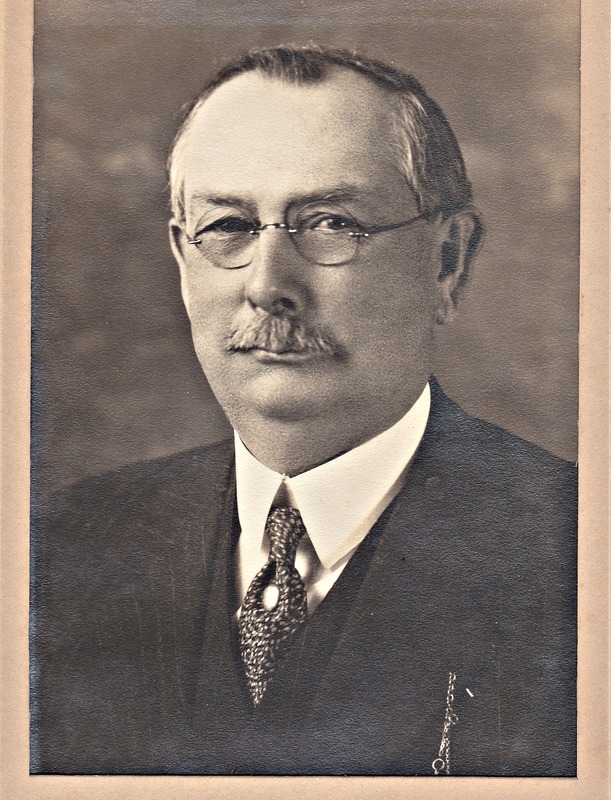 A profound Mason, Dr. Moore was instrumental in the erection of the $120,000 Masonic Temple here in 1925. He was trustee during the construction of the beautiful three-story building. He was worshipful master of the Mt. Moriah Lodge No. 18 F.A.M. at Lisbon, Ark. 1909 and 1910, and the past master of the El Dorado Lodge No. 13. It was not that he bought his home on moving here in 1912 and of necessity make good because of the precious investment, that Dr. Moore wished to assist in the up-building of El Dorado. This section was “home” to the young doctor. He was born May 9, 1873 on a farm near Three Creeks, Union County. He was educated in the common schools of the county and pursued a literary course at the State University, Fayetteville. Pride in, as well as obligation to a progressive community motivated the desire to make his a better town in which to live. Even as he worked and planned to acquire an education, Dr. Moore labored for the city’s betterment. He kept laboratory books and swept dormitory floors to defray expenses of a literary course in Fayetteville. Before attending his first session at the Memphis, Tenn. Hospital Medical College, the then youthful Moore retraced his steps to the farm to raise a crop and get his “stake.” Successful with agriculture, he gained enough money to study a year. He returned again to the farm and made his second crop, then back to school. In his third and last year at Memphis, he worked as a doctor’s assistant and borrowed money on an 80-acre tract of land back home in order to complete his curriculum. Following his graduation in 1898, Dr. Moore located in Lisbon, Union County where he practiced for twelve years. Removing to Dexter, N.M. for a year, he felt the urge to “come home.” The year 1912 found him in El Dorado with his family. He had married the former Miss Daisy May Graham of Lisbon, Union County in June, 1900. A conscientiously loving wife, Mrs. Moore fought for the principles of her husband. Their happy married life is happier today with three children. Walter, 29, the oldest is well-known and regarded here. He is an aviator and electrician; Berry, 27, is beginning a study of medicine, Little Rock; Lillie Mae, the only daughter, 20, is a graduate of Ouachita College, Arkadelphia. A successful, lucrative practice has signaled Dr. Moore as a leader in his profession. He gained immeasurable respect for his untiring work in the establishment of the Warner-Brown hospital here. His time and money was for one cause – the alleviation of human suffering. Since that memorial accomplishment, Dr. Moore has twice served as president of the hospital staff and today is its’ secretary. He is a charter member of the Union County Medical Society and has served as president and secretary of that body on numerous occasions. In addition, Dr. Moore is a member of the state, Southern and American Medical Societies. In between those countless duties, he found time to do post-graduate work in Chicago in 1901; in New Orleans, 1912, 1915; in New York City, 1916, 1919 and again in 1923. His spirit of accomplishment; however, reflects in those wee, dreary hours of a winter morning when he rode horseback for 20 miles to answer the call of patients. With the traditional “pill-box” slung about the saddle of the horse, “Doc” Moore swam chilly streams, traversed choppy fields and trudged homeward to shed a water-soaked overcoat in weather so cold the garment would stand unsupported in the hallway. Granddad Moore still has a namesake legacy in El Dorado; our son John Aaron whom we named for his great-grandfather. He and his wife Gina have lived in El Dorado since 1993 and are raising their three sons, Drew, age 19; Brady, age 17 and Landon, age 10. John is an attorney and Senior Vice-President of Murphy USA. The legacy in El Dorado continues. I really enjoy your writings of your family. I have always been captivated by how Physician care for their patients many years ago.